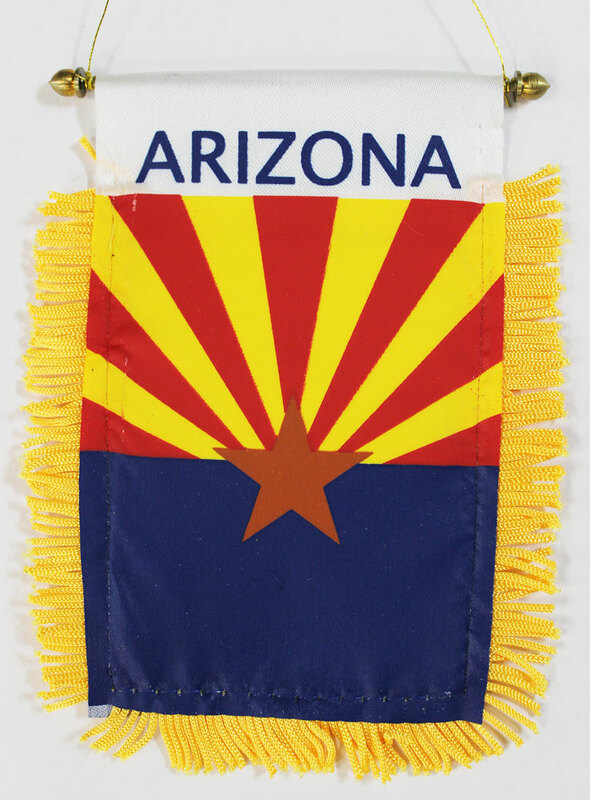 We are pleased to provide a selection of Arizona window-hanging flags, perfect for display in your vehicle. These are approx. 4.5" x 4" flags with fringed edges and a gold rope which attaches to the supplied suction hanger, or mounts directly over your rear-view mirror.